Take a look at different cultures where skincare is not seen as a luxury, but rather an essential part of personal care, and you will notice a few common – and extremely effective – denominators. 1. First, skincare starts off early, and girls who have not yet entered high school are already applying eye cream. Because prevention is better than cure, and you cannot start preventing too early, right? 2. Second, SPF is applied religiously – while hats and sunglasses are often the most popular accessories – because sun damage is the enemy of that envy-inducing, comes-from-the-inside glow. 3. Third, whatever they consume, they do so with the purpose of improving their already-great-looking skin. Water is the skin’s most powerful elixir, moisturising from within, and fruits and veggies contain antioxidants that fight free-radical damage. Therefore, plant-based meals, combined with healthy fats and lean protein, is the bread and butter for these cultures. 4. Lastly, for these cultures, a facial is not something you do to treat yourself, but rather it is a regular feature in your skincare regime and regarded as a must. Look at French women, for example, for whom a facial takes place once a week. However, not everyone has the luxury of time required to visit their skincare therapist on a weekly basis, or frequently enough. So what can you do to ensure that your skin doesn’t lose its glow? By giving it an extra boost at home, that’s how. Introducing Environ Skin Care’s latest breakthrough in skincare technology, which helps to optimise at-home treatment and extends the effects of your professional facial. 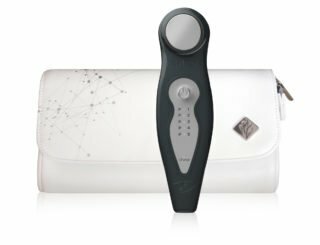 Following the rise in the advent of “at-home devices”, Environ recently introduced the new Focus Care™ Skin Tech+ Electro-Sonic DF Mobile Skincare Device. 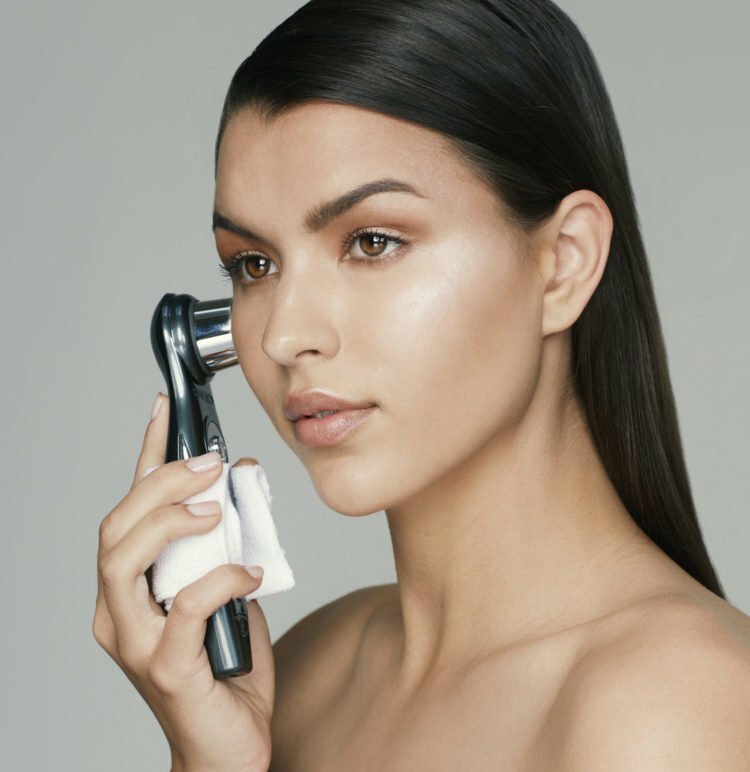 This revolutionary handheld device, designed by Dr Des Fernandes, globally renowned plastic surgeon, is made to make a lasting difference to the skin’s overall appearance. “As part of my personal mission to future-proof skin around the globe, I wanted people to be able to harness the power of Environ’s DF Technology from the comfort of their home and support their Environ professional facial treatments.” Dr Des Fernandes, Environ Founder and Scientific Director. The dual electro-sonic technology of the DF Mobile helps to (1) stimulate the skin and create tiny cavitations through low frequency sonophoresis (sound waves) and (2) deliver more essentials nutrients to where your skin needs them most by ionizing active molecules and diffusing them into the skin through pulsed iontophoresis (electric current). As an at-home facial device, which skin problems can it help address? double chin and also minor scars. When combined with good skincare habits such as the ones previously discussed, the benefits of your skincare products are enhanced and optimised. Moreover, your complexion will see improvement, along with the overall health, texture and radiance of your skin. The DF Mobile device is also designed to enhance the absorption and benefits of topical Environ products – thereby making them more effective in your skincare regime. Click here to find out more about Environ’s new Focus Care™ ranges. What makes it so convenient for your skincare regime? You can target specific problem areas or treat your whole face to a facial, depending on your available time. All of us feel more beautiful when we have beautiful skin. And since the one we’re born with is the one we’ll have forever, why not future-proof your skin once and for all?